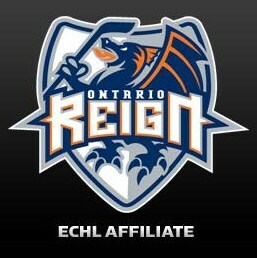 Confusion reigning between Kings and ECHL affiliate? 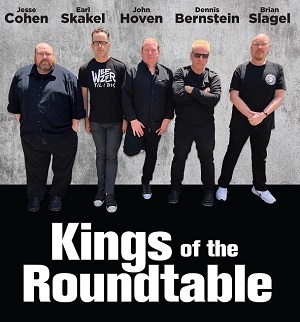 You are here: Home / AHL / Confusion reigning between Kings and ECHL affiliate? Being an ECHL affiliate to an NHL team isn’t quite as glamorous as it might seem on the surface. The way hockey is structured, most top prospects are either playing major-junior in Canada – via the WHL, OHL and QMJHL – or are enrolled at an American University. 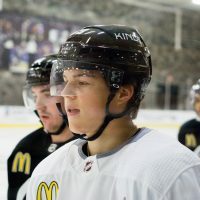 Once the player is a little older, he’s usually sent to the AHL before eventually joining his NHL team. So, where does the ECHL fit it? Good question, actually. As far as prospects go, goaltenders seem to find the most success there – simply because there are only two goaltending slots on other teams, compared to at least seven defenseman and 12 forwards. So, from a numbers standpoint, it’s easy to see why a goalie ends up in the ECHL. Hey, it worked out for Jonathan Quick – who spent most of his 2007-08 season with the ECHL’s Reading Royals. 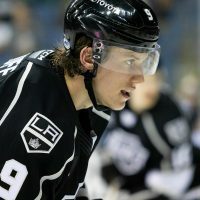 That said, several players on the Monarchs roster last season had at least spent some time in Ontario, the Kings’ ECHL affiliate, over the few seasons prior – including their leading goal scorer, Bud Holloway, plus forward Jordan Nolan, defenseman Colten Teubert and goaltender Jeff Zatkoff. However, last season the Kings weren’t much help to Ontario. Goalie Martin Jones started the season there – only to be sent to Manchester after playing just one game (due to Erik Ersberg returning to Europe). 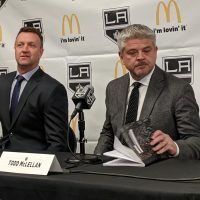 Even so, Reign coach Karl Taylor noted on several occasions last season that he wished the Kings were able to supply him with more talent. Next season he’ll most likely be getting goalie JF Berube, a 2009 Kings draft pick and one of the top netminders in the QMJHL last season. 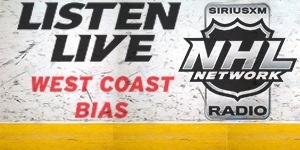 Kings goaltending coach spoke about Berube and Ontario in an interview here. All of the above is merely a back drop though to reports that surfaced about a week ago, suggesting the Reign were about to add a second NHL affiliate for next season (rumored to be Vancouver). 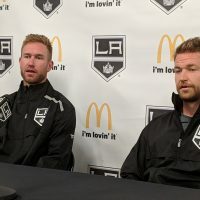 On Tuesday Kemp told J.P Hoornstra, of the Inland Valley Daily Bulletin, that he was in “serious discussions” with a second NHL team, one that he described as “hopefully 75 percent” sure of completing a deal with.